My take on life including hockey, golf, pool, fitness, football, computing, web development / programming, photography and more. Last night I downloaded and installed a Linux distribution called Ubuntu(v10.10) in what was my first adventure (I’m not counting using Knoppix to fix Windows problems) into using an OS that hasn’t been written by Microsoft. In my, almost, 20 years of computing I’ve used everything from Windows 3.1 up to Windows 7 and a couple of the server editions. I have to say, I’m well impressed with Ubuntu! It’s easy to install, easy to use and packed full of functionality! In fact I’d even go as far as saying that if I didn’t already own Windows 7 I wouldn’t bother buying it but would use Ubuntu instead! I downloaded the Ubuntu disc image from the Official Ubuntu website, burned it to a cd before restarting my pc and booting from that cd. 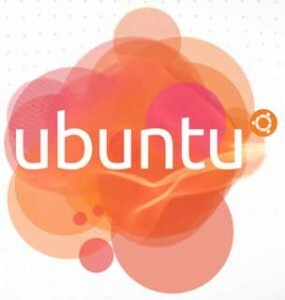 The Ubuntu installation disc also allows you to run a ‘Live OS’, in other words, you can run the OS straight from the disc with no need for installation. Which is great for evaluation purposed and to make sure you like the OS before installing it. After booting from the disc I was presented with two options: Try Ubuntu or Install it. I chose to install. I chose to install Ubuntu alongside my Windows 7 installation, again this was something made very easy by the Ubuntu installer. All I had to do was choose how much disk space to give Ubuntu, choose a username and password and click go! Ubuntu took care of the rest. Now that Ubuntu is installed I get an option on bootup asking whether I want to load Ubuntu or Windows 7. My initial impressions of Ubuntu are that Ubuntu is quick, clean and well organised. So far it has done everything I’ve asked it to. A couple of minor drawbacks I’ve found so far are that spotify and Virtual Pool 3 aren’t available native to linux, however, they both run fine under WINE. The main drawback is that Photoshop won’t run on Linux, in this case GIMP will be more than enough for the work that I’ll need to do and it’s free! I have Eclipse for web development, GIMP for graphics, Spotify and VP3 run under WINE, a great email client, an equivalent to Windows Live Messenger, media players, what more could I need? Everything I use my Windows PC for can be done just as well running Ubuntu. And when you throw in the fact that this software is all completely free you know you’re onto a winner! This entry was posted in Computers and tagged *nix, Computers, linux, Operating System, OS, ubuntu, unix, Windows on March 2, 2011 by Stephen Hoult. Major downside that VP3 doesn’t work lol. My mate Gareth at http://www.garethwitty.co.uk used it and it was a disaster for his computer. He would be happy to discuss it with you so drop him a message! I wonder why it was a disaster for his computer? VP3 will work, it will run under WINE (which is a virtual windows environment in Linux) though it does seem a little jumpy/laggy but that may be resolved with some updates. Click here to buy me a pint!